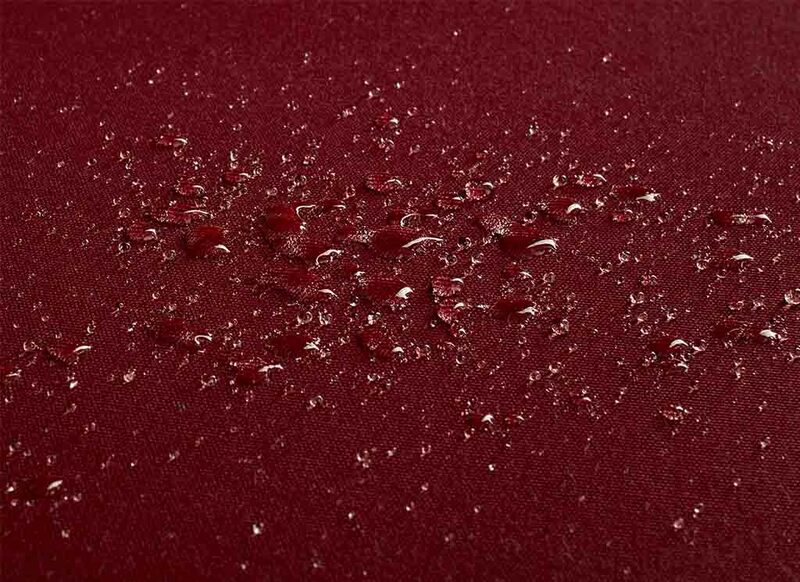 Orchestra MAX awning fabric is distinguished from Orchestra fabric by its colorless coating, which makes it completely waterproof. Ideal for fixed and permanent outdoor installations, such as awnings and pergolas, Orchestra MAX fabric guarantees a very high level of colorfastness, excellent protection from UV rays and weather exposure, as well as easy maintenance. It is also possible to digitally print images on one side while preserving the fabric’s many properties. All products are available in a width of 120 cm. Finish: water-repellent coating for easy cleaning. Acrylic waterproof and UV-resistant coating on one side.